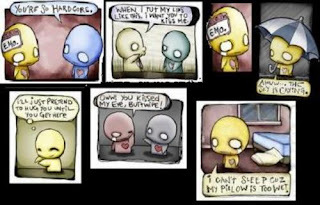 Emo Cartoons crack me up and the Emo Cartoon master in my eyes is jeff thomas. 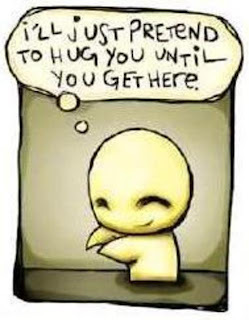 He has made many of the emo cartoons that you see on the web and his are definetly the funniest and most original. 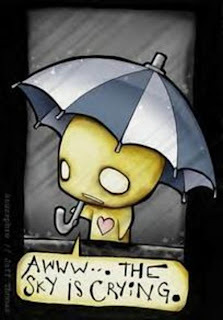 He draws cute little emo guys and emo girls and puts them in stereotypical emo situations. Though most of the cartoons seem to slam the emo generation, they are great none-the-less. If anyone knows of any other good emoish cartoonists, let me know! wow I love these cartoons. does jeff thomas have a website?? Whoever You Are I Love THese Little Cartoons Of Yours! Keep It Up!